--One of my undergraduate students followed my advice and sent an email to his professor, thanking him for his email answering several questions about an upcoming project. The professor was so pleased that the student had thanked him that he gave him two additional points on his project. You observe something that illustrates a point in your presentation. Someone says, “That happened to me…” in response to some point you are making. That person’s anecdote can add another voice to your information. You reference someone in an article or book, or on a website, who proves your point. 3. Prepare the story. When you start to put your presentation together, go to your file and choose appropriate examples to support your points. Don’t use people’s names, unless you have their approval or the person is clearly a public figure. Don’t criticize or belittle anyone, and don’t lie – but you can embellish the truth a little for dramatic effect or to protect someone’s identity. Also, be cautious with humor. Although humor can add a lot to your story, it can also bomb badly. The more you include stories in your presentations, the more comfortable you become using them. 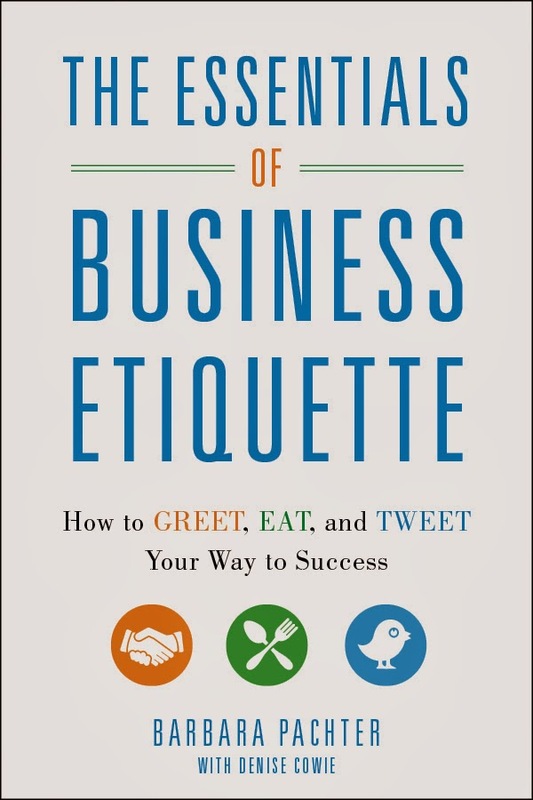 Additional information on presentation skills can be found in my new book, The Essentials of Business Etiquette: How to Greet, Eat, and Tweet Your Way to Success. Happy Tales! Pachter & Associates provides seminars and coaching on presentation skills and business etiquette. Contact Joyce Hoff at 856.751.6141 or Joyce@pachter.com for more information. Great suggestions here, Barbara. Whenever I'm giving a presentation I'm always a bit apprehensive about whether or not the material will actually be impactful. I'm sure using your story suggestion will help things stick! Those are even the very good stories which have been initiated here and hopefully for the future the concerning objects would amount to better understanding of the values.